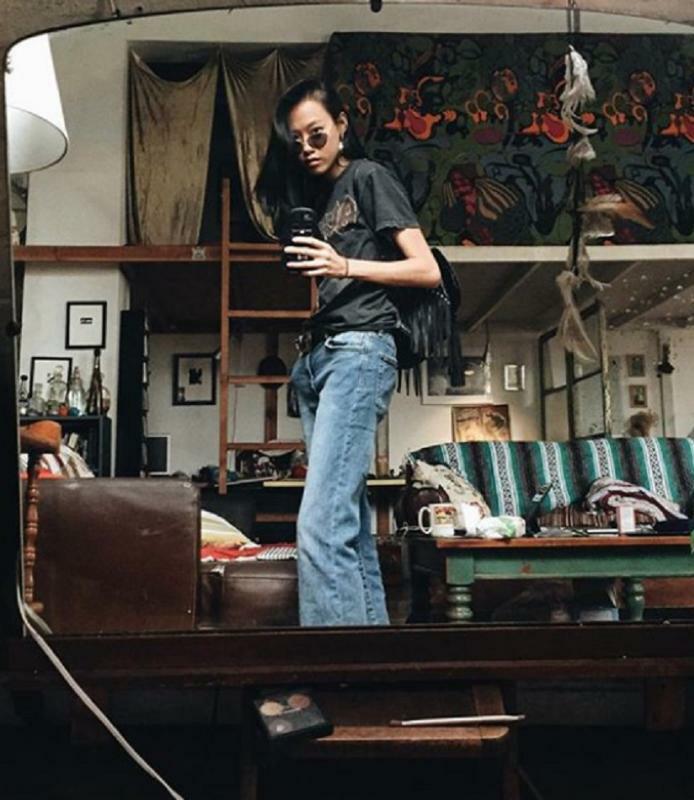 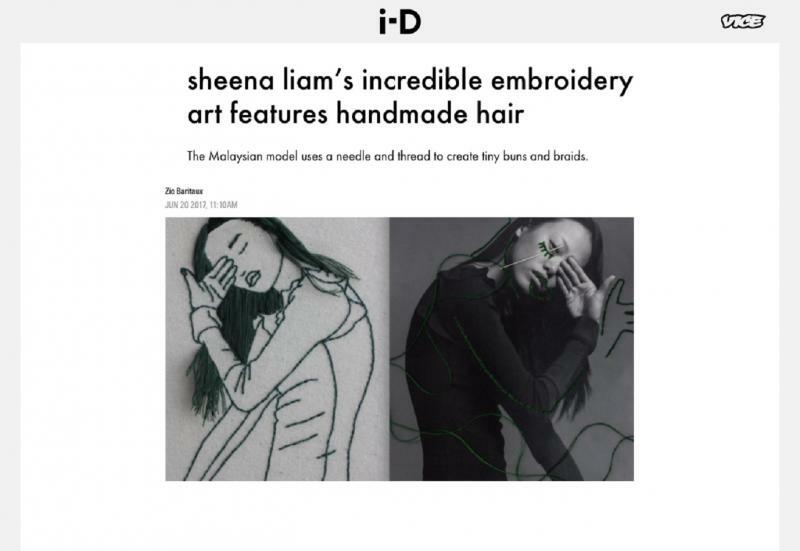 Sheena Liam is a Malaysian born model and artist that has gained public attention through her hand sewn embroidery art. 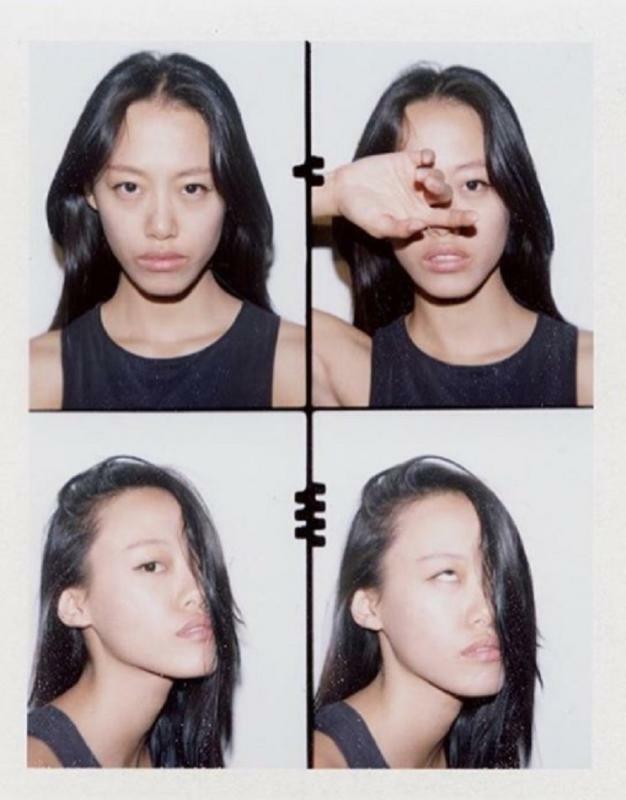 Sheena was first discovered when she won Asia's Next Top Model. 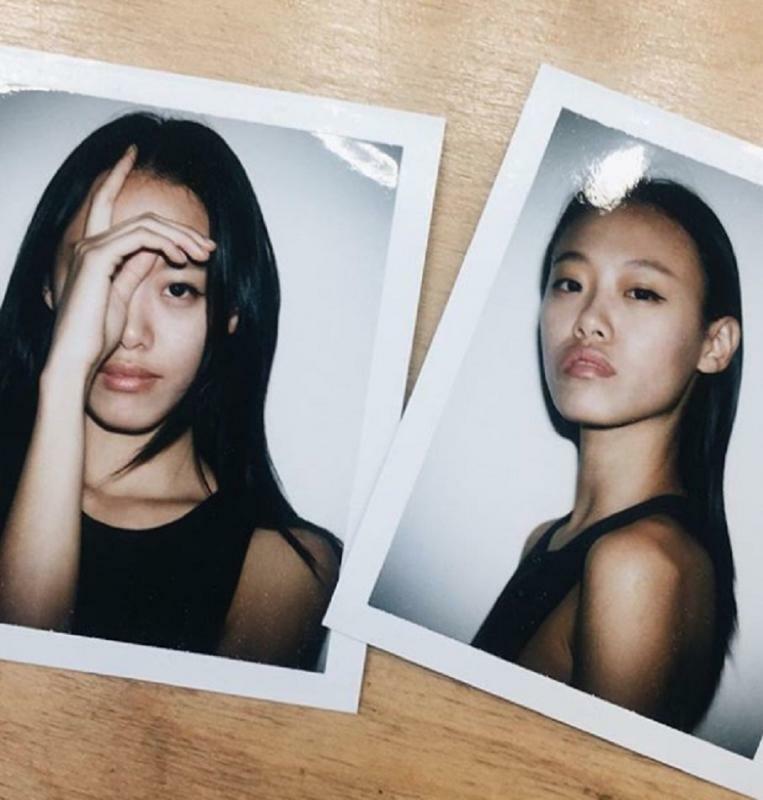 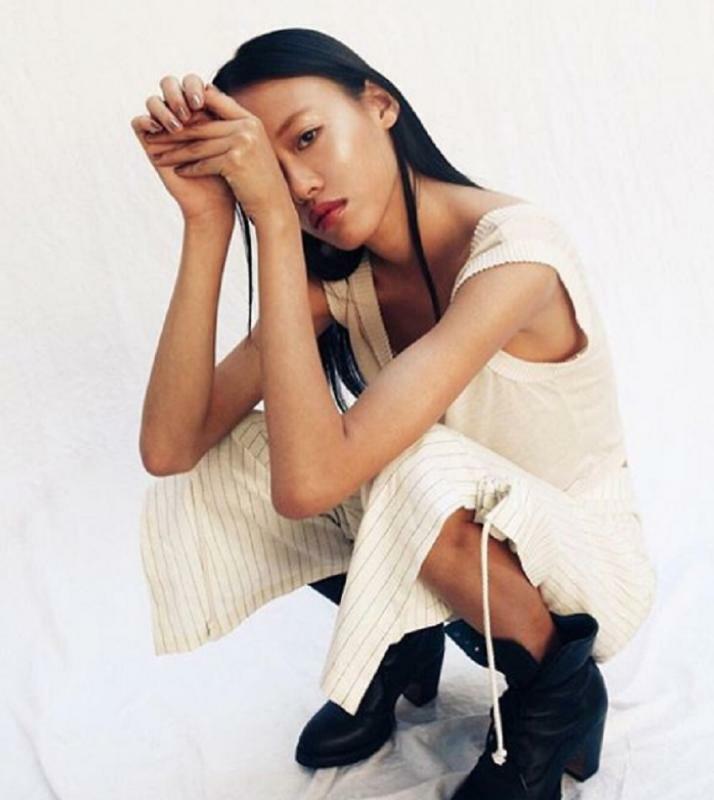 This led to her move to Europe kicking off her career as a model. 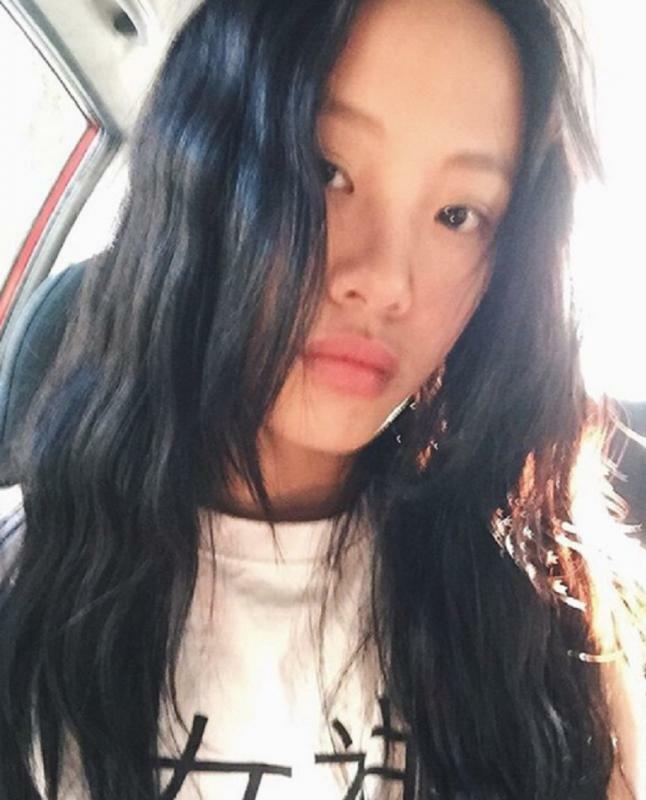 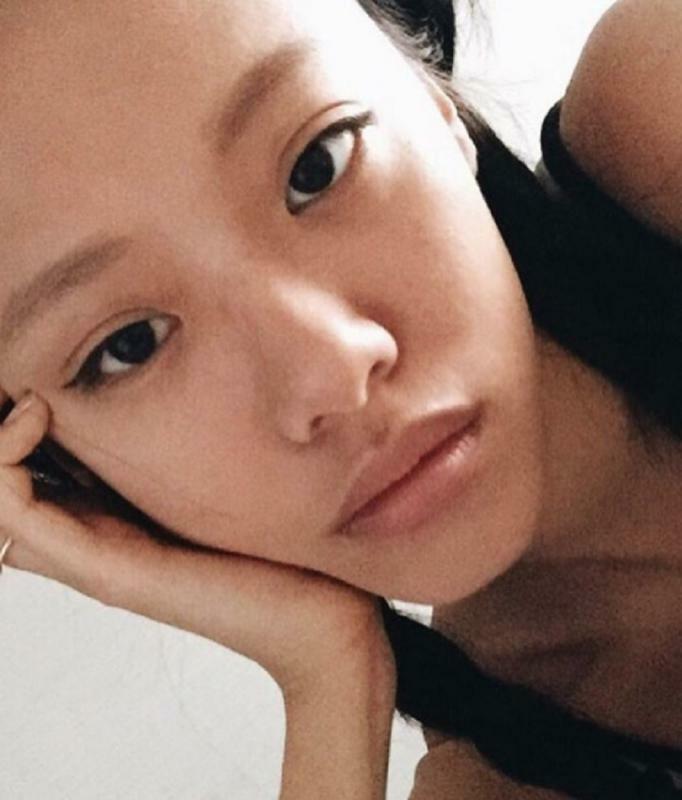 Utilizing her time in new cities, exploring and experimenting with art mediums. 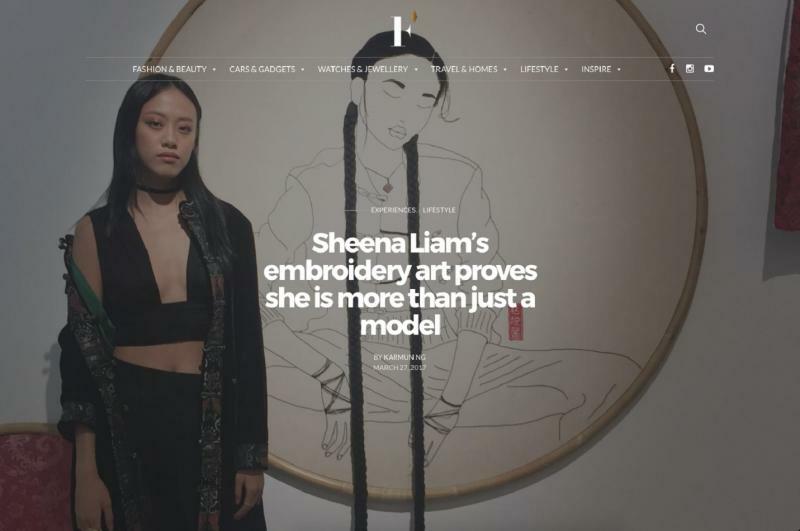 Sheena started embroidering as means of self expression. 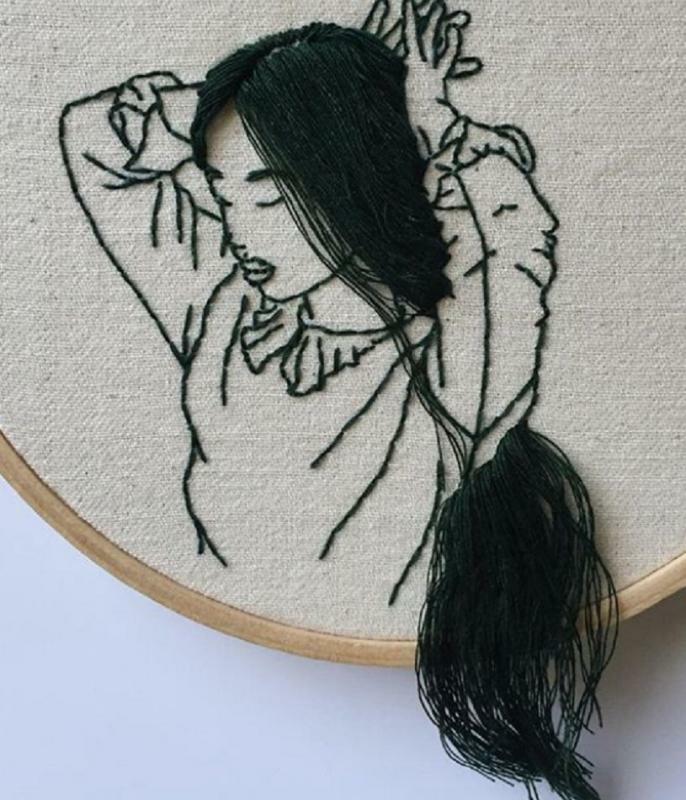 Through reimagining the notion of traditional embroidery. 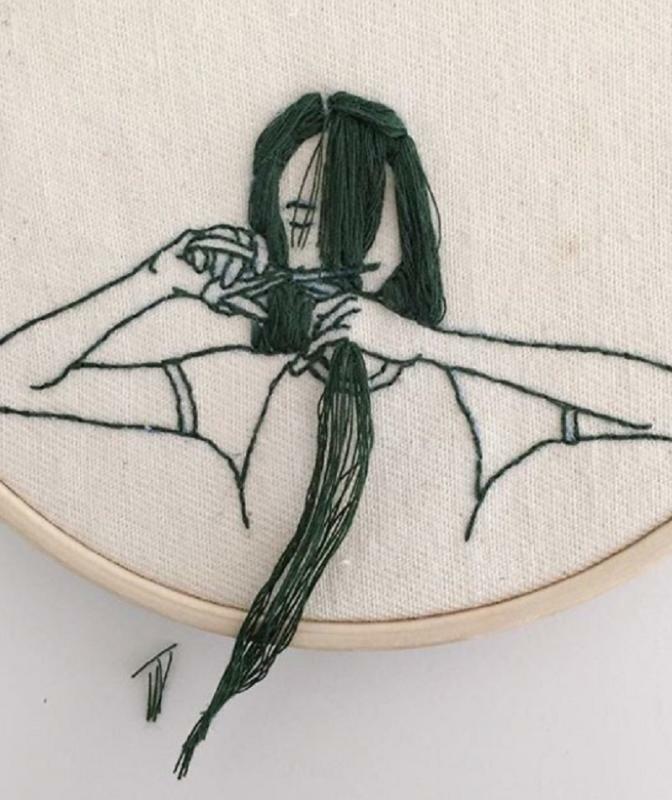 Her intricate yet minimalistic works- often based on photographs of herself, features feminine figures in an array of poses almost leaping off the fabric. 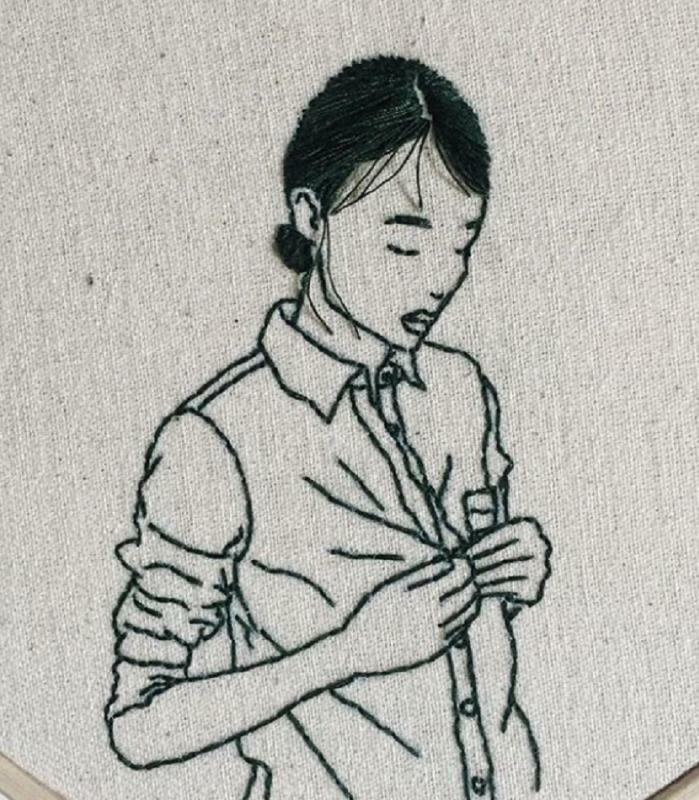 "In a strange way modeling parallels my art in the sense I often have to use body language as means of expressing a certain sort of mood. 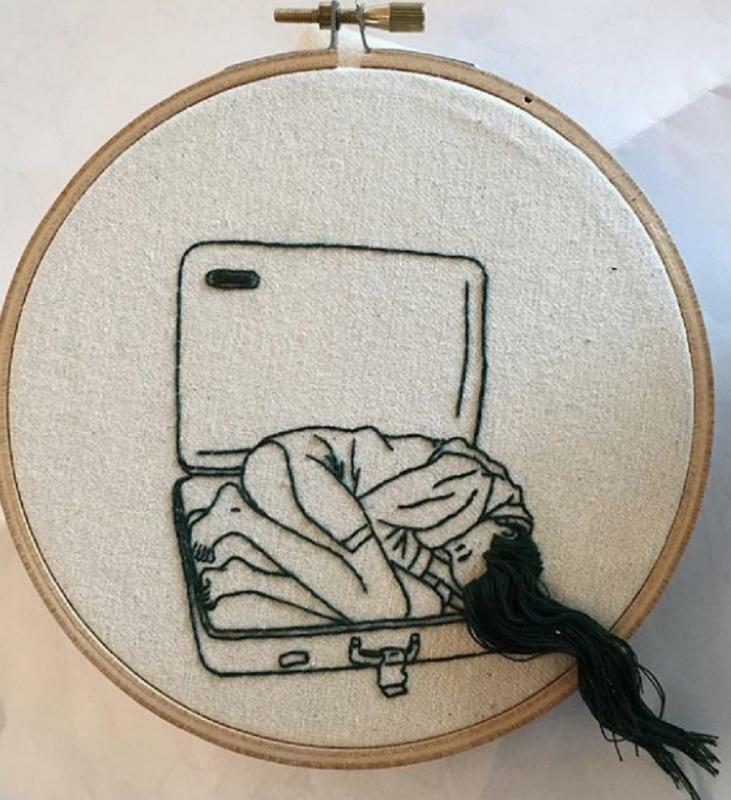 It's no different from my embroideries." 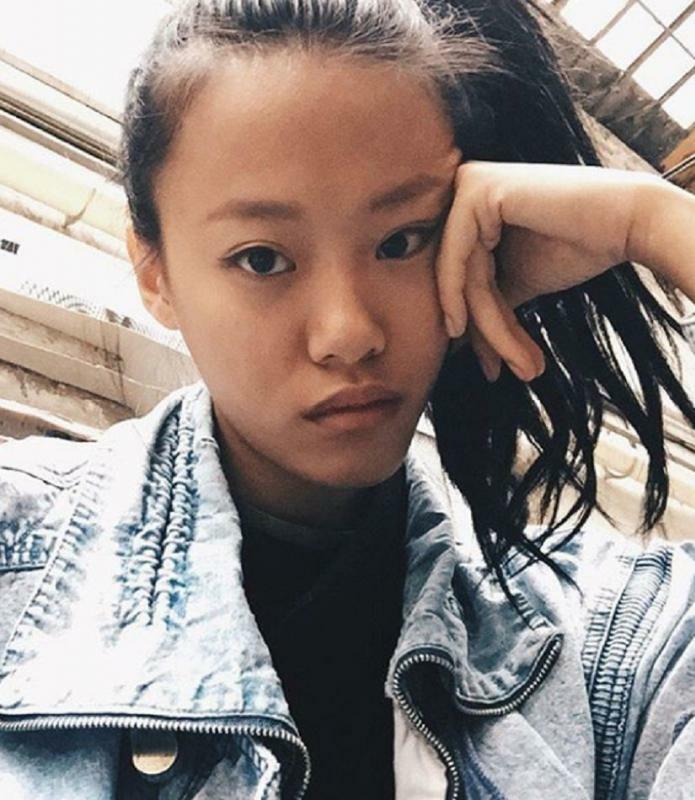 Her work has been featured on TeenVogue, I-D, Frankie and the Huffington Post to name a few. 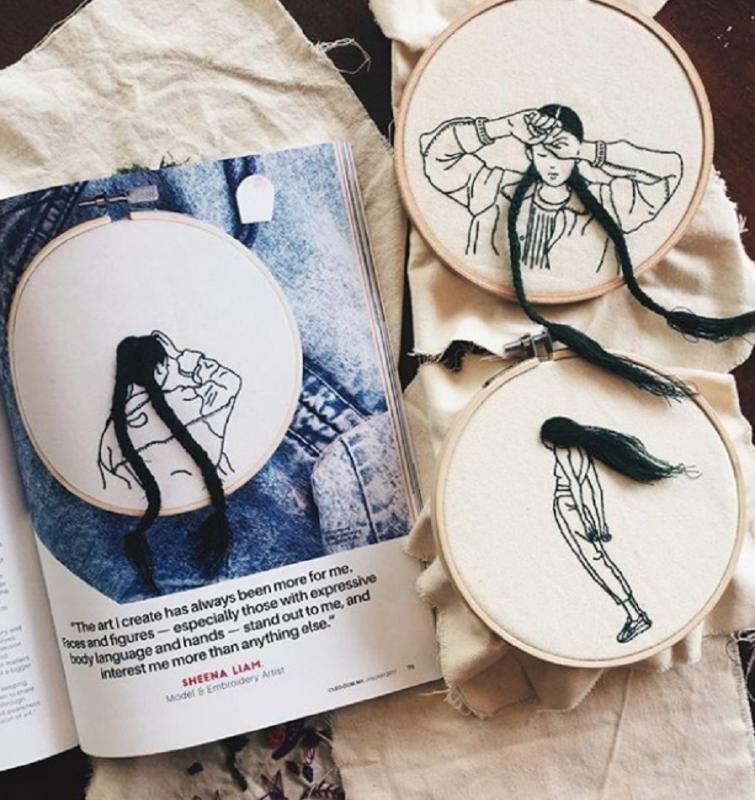 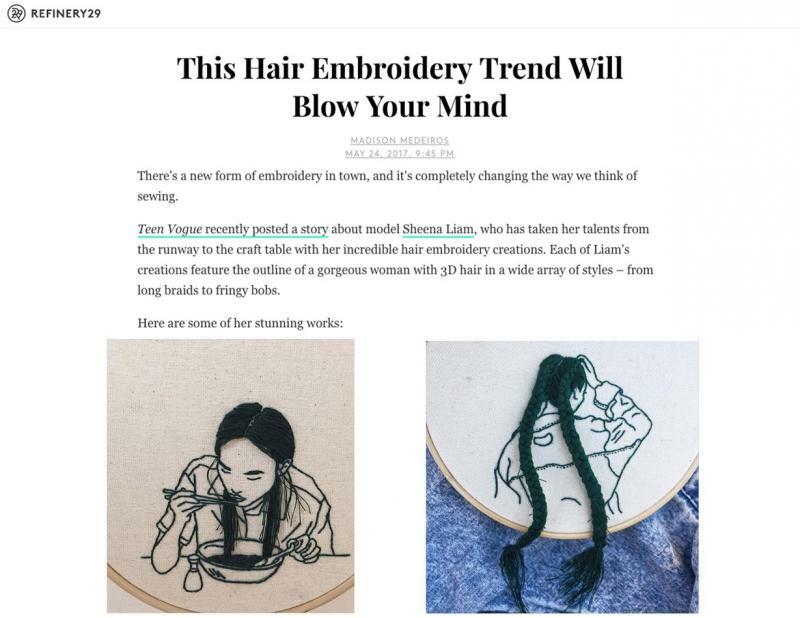 Sheena is the latest in the line of artists expanding the boundaries of embroidery art and her distinct style sets her apart from her counterparts through her unique vision. 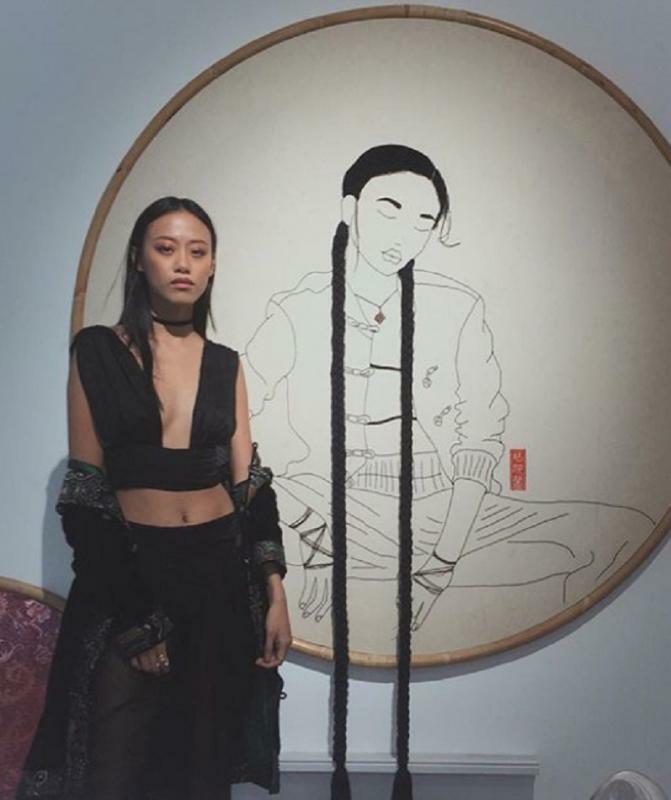 She is currently working towards her first solo exhibition.